Thanks to the Family Research Council (FRC) and their current pro-life campaign, “I’m Pro-Life Because,” for encouraging individuals and families to share why they are pro-life. As a pro-life family, Ryan, Olivia and I were proud to share our pro-life views and the foundations of why we are pro-life with the world. Here is the information about the FRC campaign, and our submission to it. I hope you take the time to visit the FRC blog site and see and hear more beautiful stories of why so many are pro-life. 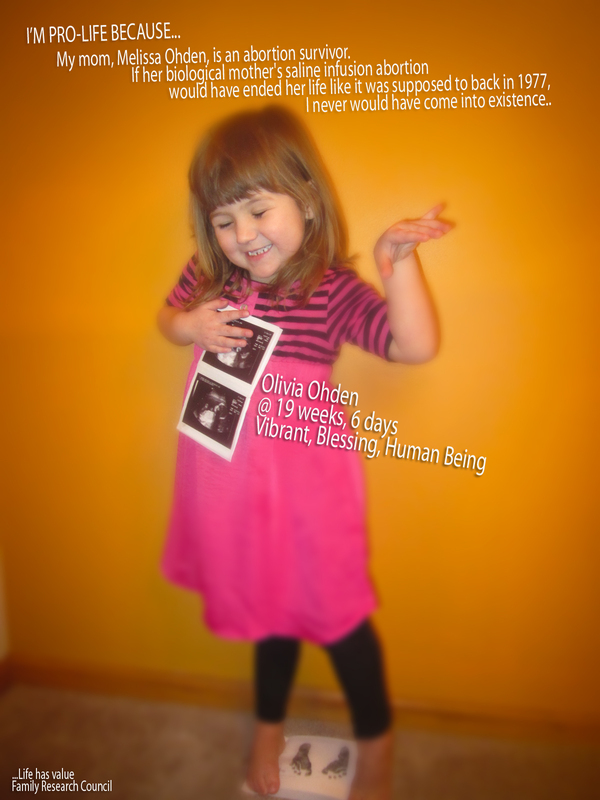 We have been incredibly inspired by the outpouring of enthusiastic and creative submissions to our “I’m Pro-Life Because” campaign. There have been a number of truly remarkable and miraculous stories shared with us over the last few weeks. Please visit the FRC Blog website www.frc.blog for more information about how to share YOUR story and listen to an interview that I did with them regarding our submission. If you have not yet submitted your story, please consider doing so. By sharing our stories, we all make an impact!